Today's blog post is the tenth of many interview previews of performing choirs for PODIUM ON THE EDGE taking place from June 28 - July 3, 2018 in St. John's NL. 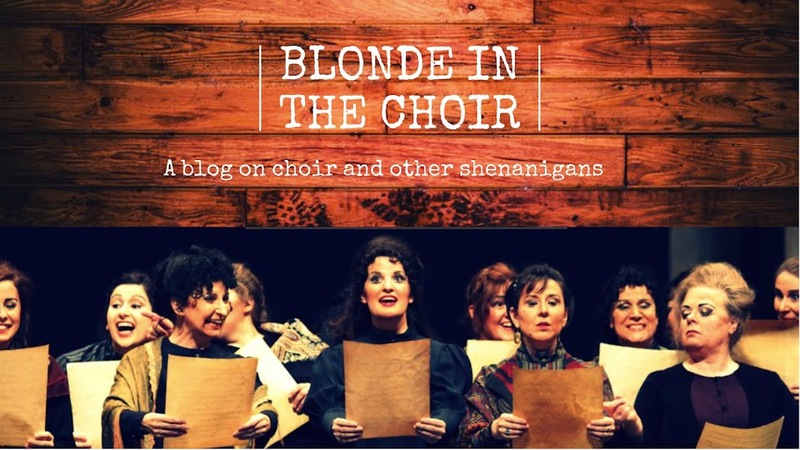 Check out my previous blog posts with The University of Redlands Chapel Singers,Toronto Children's Chorus, Les Petits Chanteurs du Mont-Royal, Capital Chamber Choir, The Oakville Choir for Children & Youth, Elektra Women's Choir, That Choir, Aurora Women's Choir, and Sirens Choir! 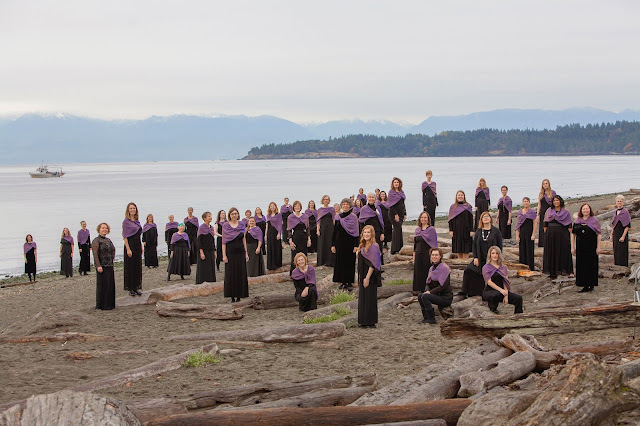 For close to two decades, Ensemble Laude women’s choir has enchanted audiences on Vancouver Island with its creative blend of medieval repertoire and contemporary choral works from around the world. Ensemble Laude is a community of women united by a passion for choral music and the vision of our Artistic Director, Elizabeth MacIsaac. 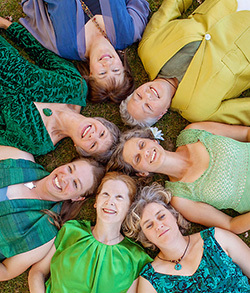 We celebrate the beauty and resilience of women’s vocal traditions through the ages and seek to share this art form through joyful, soulful, and life-enhancing performances that gladden the heart, lift the spirit, and expand the mind. Ensemble Laude began in 1998 with a group of 12 singers focused solely on medieval music. It has since expanded into a vibrant community choir of over 50 vocalists. Today, our concerts offer an eclectic repertoire, mostly unaccompanied, encompassing early music, sacred and secular works, and folk and world music. We are committed to expanding choral repertoire for women’s voices and regularly commission new Canadian works that preserve and revitalize early-music themes within contemporary settings. As an auditioned community choir, Ensemble Laude provides opportunities for women and girls from a wide range of backgrounds to perform at a high level of excellence. Soloists and smaller ensembles are a strong feature of our work as is the choir’s creative approach to concert presentation and the use of physical space. In recent years, the choir has been recognized with first-place awards at the Victoria Performing Arts Festival and Performing Arts BC, first and second-place awards at the 2012 International Choral Kathaumixw, and numerous voters’ choice awards for best choral and classical music group from Victoria’s Monday Magazine. 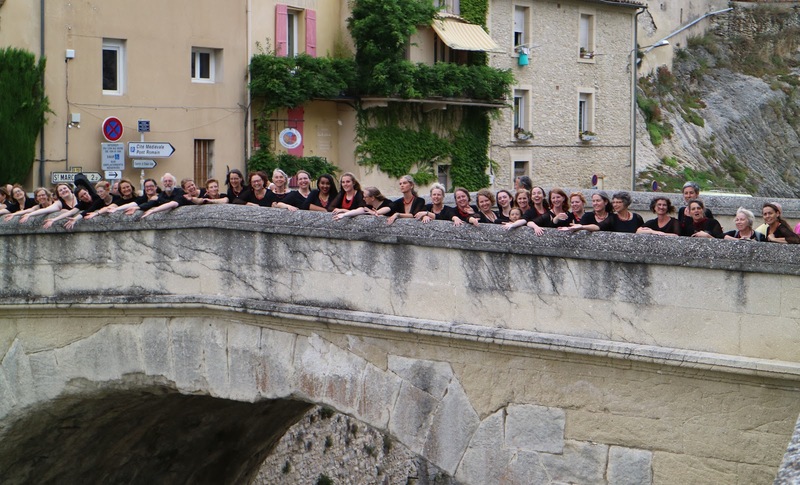 Ensemble Laude won second place in Equal Voice in the 2015 CBC Choral Competition, and in 2016 travelled to France to represent Canada at the international Choralies festival in Vaison-la-Romaine. Carolyn Howe: Most would say our first international tour to France, and performing as part of Choralies in Vaison-la-Romaine was a highlight! Collaborating with other Victoria choirs to premiere Victoria composer (and great friend of Laude) Nicholas Fairbank’s work Isbjorn, and later reprising this for the New Music Festival in Victoria; inviting Ian Tamblyn to a rehearsal and hearing the stories inside his folk song, Woodsmoke and Oranges; performing at the beautiful Baumann Centre in December for our Champagne Tea; workshopping music with our frequent collaborator, Sarah Quartel; working with Laude choreographer Kathy Lang, and story teller Anne Glover to bring our newest commission, The Tale of Mahjabin, to life. CH: Ensemble Laude is an auditioned community choir, and we strive to be as inclusive as possible while also achieving a high level of excellence. Our choir is made up of singers with a wide range of musicianship and experience. We have singers in our choir with music degrees, and singers returning to a choir for the first time since high school. We have singers who are only just learning to read music. Finding a way to bring these diverse musicians together and provide a musical experience that is satisfying and achievable for every singer is a challenge we relish. Both conductors bring a singing and teaching background to the work and approach every part of rehearsal as voice teachers. Developing our singers’ vocal technique is essential to achieving the sound we strive for. CH: We really wanted to give our audiences a taste of the diversity of our programming. Ensemble Laude initially was founded to perform medieval music, and although we have evolved over the years to include a wide range of musical styles and genres, we always include this music in our program. New commissions and supporting Canadian composers – particularly emerging composers – is important to Laude, and we wanted to feature some of our most recent commissions on the program, to share this work with new audiences. We know you will love it! elements of movement, rhythmic and harmonic intricacy, beautiful tone and lots of energy! CH: In a country as vast as Canada, it is so important for the people doing this work to have the opportunity to meet face-to-face to exchange ideas and inspiration. It is such an exciting time in Canadian choral music! We have wonderful composers producing brilliant choral repertoire, gifted directors leading world-class choirs in communities across the country, and our choirs taking their work to the international stage. Having a chance to be together, work together and share our work here on our home turf is essential to continuing to develop our Canadian voice. CH: It’s so important that the choir has a chance to find something to connect with in a score, and love. Some pieces provoke an immediate emotional response; some appeal more to the thrill of the intellectual challenge. We want to find the right hook for every piece for our choir. For some songs it will be a piece of text to highlight at the first rehearsal, for another piece, a harmonic passage that will intrigue or move the group. CH: We search for exciting and thrilling repertoire that will appeal to our very diverse choir. We pay particular attention to the alto lines in our repertoire selection. We don’t want bored and underused altos in our SSAA choir! We search for new exciting music to thrill both our audience and our singers, and attending international conferences and festivals to dig deep into the unknown repertoire has yielded many new discoveries. As well, finding music that will satisfy both our most advanced singers and our rookies is always a consideration. Lately we have increased the expectations for memorization in our performances, which in many ways has been a great equalizer. The singers who rely more on memory to learn their music, find they suddenly have an advantage over the strong readers. Now the experienced musicians have to push themselves out of their comfort zone, put away their scores, and engage with the music in a different way. CH: We are committed to providing enrichment to youth singers and making connections with young singers in the community. In January we received a development grant from the Victoria Foundation to begin doing some of this work. This spring, as part of the project, both directors went into local middle and high schools to work with existing choral programmes, and make connections with other conductors and youth singers. These singers have been invited to join us on stage at our last concert of the season. As well, all season we have been working with three highly skilled recent university music graduates, to develop our new Emerging Artists program. These three singers have worked closely with the directors to develop their choral leadership skills, have led sectionals and rehearsals, been featured soloists, and also enriched our sections with their musicianship and singing. We are excited to continue this program into the future, with the hopes of enriching and diversifying the skills of recently graduates of voice programs, by adding a choral experience into their portfolio. We are not sure exactly where we will land with our youth programming, and are grateful for the support of the Victoria Foundation to do this exploration. Carolyn Howe is Ensemble Laude’s Assistant Director. 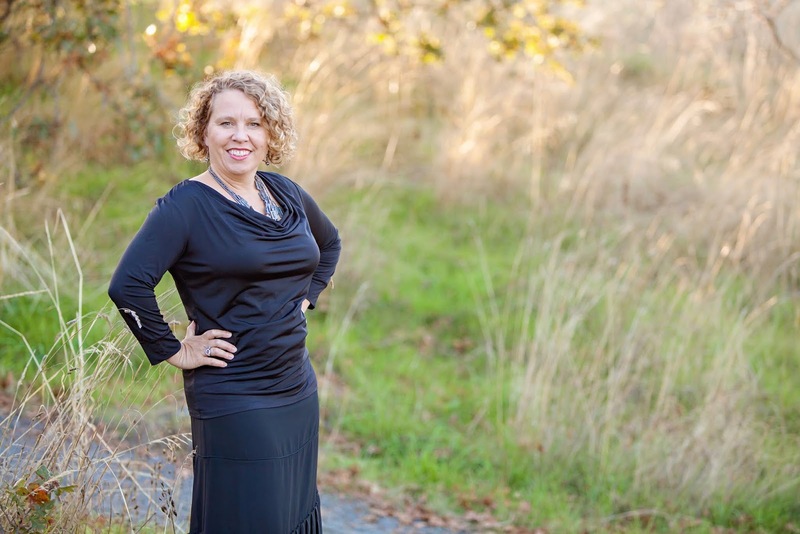 Elizabeth MacIsaac is undertaking her doctorate in Choral Conducting in Seattle at the University of Washington and returns to Victoria to work with Laude singers every other week. To help carry the load, Carolyn Howe brings her talent as a director, warm personality, and beautiful singing voice to the choir. 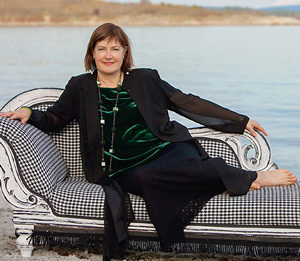 Carolyn Howe received her Bachelor of Music in Voice Performance from the University of Victoria, and has long been an active member of Victoria’s music community. In 2006, Carolyn joined Hexaphone, a collaborative chamber ensemble of six voices, specializing in unaccompanied repertoire sung one voice to a part. 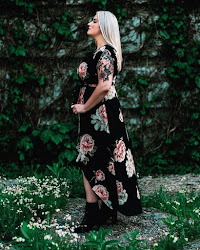 Highlights of her work with Hexaphone included performing in the Victoria Symphony New Currents Festival of Music, at the Voice ++ Festival at Open Space, premiering BC 150 Project: Five Songs For BC, and winning the Elmer Iseler Prize in 2012 at the International Choral Kathaumixw. From 2006-2014, Carolyn was choral director of the Mood Swing Chorus for the Friends of Music Society, a partnership program for people with mental illness and members of the wider community. In addition, she is recognized as an outstanding children’s music educator. Since 2005 Carolyn has been the music teacher at South Park Elementary, a fine-arts-focused school in Victoria, where she teaches a general music program, and directs two award-winning children’s choirs. 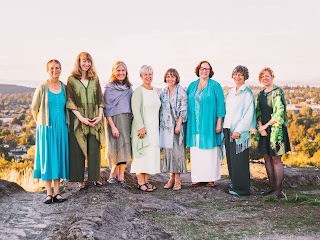 Ensemble Laude performs on Tuesday, July 3, 2:00pm at the Cochrane Centre (81 Cochrane St) as a Spotlight Choir at #Podium2018.